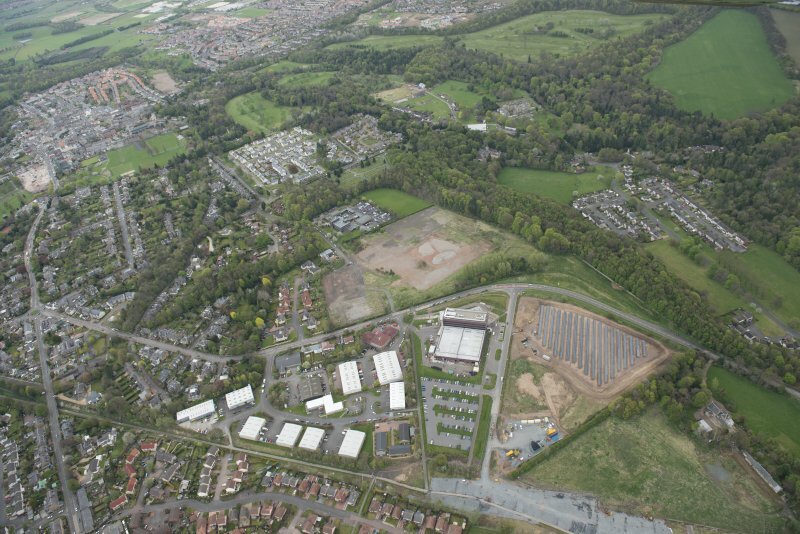 Oblique aerial view of Solar Panel field, Hardengreen Business Centre, looking to the E.
A programme of archaeological works was requiring during the construction phase of the Borders Rail Link. This included standing building surveys and targeted watching briefs. A watching brief was conducted at the location of the former Hardengreen Junction Goods Station and Hardengreen Junction Signal Box (NT 32363 66369 & NT 32383 66359). The watching brief was maintained during machine stripping of the track bed down to the works formation depth. No features or deposits of archaeological significance were identified.